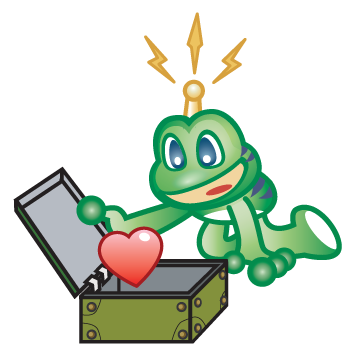 The beta launch of the Geocaching Live API continues! Geo Bucket is a full paperless Geocaching application for all iPad, iPhone, and iPod users. 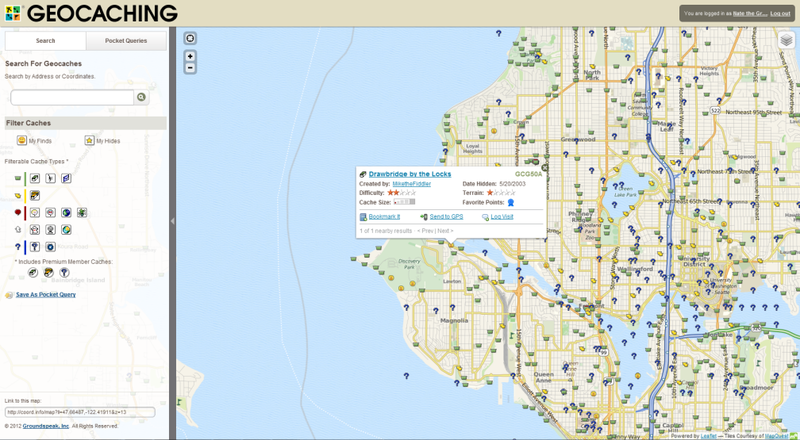 You can download caches as GPX, LOC, ZIP file or use the Geocaching Live capabilities. The application supports creating Field Notes offline and sending those to Geocaching.com when an internet connection is available. I know it may be a small thing, but thank you for this. Awesome release, guys! Well done, and thank you for listening! I will really miss Google's shaded 3D Terrain maps, most, though. Or is there something similar that I haven't discovered yet? New maps will take getting used to and they seemed a little slow just now. All in all great update! As always, thanks for the hard work. Can't wait to see what comes next. New maps do not work on IPad. Can I get a refund on my membership as its now worthless. Just a little thing that catched my eye: Since you removed Google maps, you should probably rename the "Or, search with Google maps" button on the "Hide and Seek a Cache" page. Where is the scale on the new maps? Well removing the Google maps is rubbish for UK users as they Map Quest ones don't go down to half the scale. One of the great things about the beta maps becomes useless. Bring them back please? I like the new feature to see only the caches in the PQ on the map. However, I did notice a bug. Is this the correct place to report it? Caches in which I have logged a DNF are showing up as a smiley on the new map when I view my PQ on the map. Where is the setting? I am trying to turn it off, but can't find it in my profile. I really hate to say this, but I sort of liked having the PQ balloons overlaying all the caches in the area. Oh, well, guess what we asked for. Turning off all the caches types on the left panel gave just the PQ, but what was missing was the info balloon when the PQ balloon was clicked. Oh, well, guess we got what was asked for. tsk tsk tsk...you said it. I think their servers is screaming now. Hate it. I couldn't care less about a more detailed OSM Street map when all I use is the satellite view. These new maps are slow and won't refresh correctly. There is no scale on the map, i.e. 1 in = 100 ft. Also, this might just be my imagination, but it doesn't seem to have as close of a zoom either. How much more would a Premium Membership cost if it went towards paying for the Google API? Hate the change ... thanks Google. Germany is one of the most active Geocaching-countries - you'll be hated by lot of us. I'm a mapper of OSM and used it already before the remove of Gmaps. But Google is the only provider for aero-images here in Germany with an usable resolution. PS: Bing is no alternative, too low resolution. If you are referring to the missing sections, yes, I have seen that. In my case, it was when I was switching between the various types of maps. Hate it. I couldn't care less about a more detailed OSM Street map when all I use is the satellite view. These new maps are slow and won't refresh correctly. How much more would a Premium Membership cost if it went towards paying for the Google API? more to the point, what is the premium membership actually paying for at the moment? all we've had recently is features removed and replaced with inferior solutions. here's an idea, let premium members have access to google maps, and non-premium members can have access to the poor-mans maps. In that case, you obviously don't remember the pre-Google maps. That seems odd, since that was specifically mentioned as one of the new features in this release. Perhaps you should be a little more specific about what you mean by "do not work". Horrible maps now....large tiles and blocks of nothing but grey. Slower than molasses. I used satellite imagery for all caches before heading out to make sure I was familiar with the area. There must be a better solution that whatever is being used now b/c it's next to worthless. new map Soooooooooooo slow unusable and NO detail... in our City of 40 000 , looks like there are 2 steets!! TOTAL!! Work/Play The Geocaching life for me! I could not be more livid right now in Groundspeaks choice in changing the Geocaching Map! It was my absolute favorite thing! I would pay double the subscription fee to have the option for Google Maps! I do wonder about that for a long time. my membership is due soon and right now I feel my 30 bucks is paying for Groudspeak's wonderful benefit plans for their workers and high rent (Seattle) instead of the services I really paying for. Accounting Settings / Manage Account Preferences. Would have been better to put a check box on the profile pages, to minimize poking aorund for it. Maybe it's a way to get more premium members as you can take the GPX file from a PQ and load it into Google Earth and get a similar result. You'd just need to be careful on the number of PQ you run. 2. The old map has been showing way nicer (and easier to see) symbols for the caches. These combined symbols aren't fun. 3. The list! Just names now, no codes :-( Where have they been going? 4. As far as I can see I don't have a chance to create a link to a specific PQ map as I could with the old map. 5. Why is LETTERBOX a green type of cache? Shouldn't it be a yellow one? P.S. : After trying to use the new maps I need to say that right now they are fully unusable! I'm trying to load just some caches for a small part of my home town und it is loading ~10 minutes now and STILL not even halft the tiles. Caches just popping up now. No chance to really use that! As others have mentioned, I am getting tiles consistently unpopulated. This problem is seen easily with OSM, as it looks like about every 5th diagonal is unpopulated. Random tiles are also not populating in the Mapquest aerial view. When I click on pocket queries within the map, I'm getting nothing, but then again, it could just be the painfully slow refresh rate. I hope that the slowness of the new maps is a Groundspeak problem and not a limitation of the new "cloud" API that they are building on. When I zoom in, it is taking close to a minute to refresh. No, it's not my internet connection. Also, as others have referenced, please see fit to add a scale to the map. That's a really important piece of information that is completely missing. Looks like the maps release has quite a few bugs to work out. I hope that this release wasn't rushed due to a "drop-dead" date with Google, because you really need to revert back to the old maps till these issues are resolved. The feature is pretty much unusable for me right now. Bye Bye Google Maps! Thanks, but no thanks any more. And I love you, OSM! I have been using their routable maps in my Garmins since Day 1 of my shallow geocaching history, and just can't imagine anything better. I also contribute a bit in correcting the OSM maps. Keep up the good work, hamsters, and lackeys! Sorry, just don't like the new maps. I know your hands have been tied, but some have commented that we asked for this - not I. It's very slow to load, sometimes not at all and the page I have on my taskbar is maps; other than clicking on my name, there seems to be no other way out of it onto the main site. From the main site, I haven't a clue how to get to the maps again (the perils of using a shortcut, I suppose). What were the costs involved of being part of the 0.35%? Oh they will show you something.. just take a break, have lunch and a movie and they will be up when you get back. I really like the new maps design, but please make it faster... And, since there is no satellite view available in Europe, maybe there is a way to add Google/Bing satellite Maps at least for Premium Members? I cannot tell you how long I have been waiting for this feature to be corrected.......oh wait, yes I can.....EVER SINCE THEY INTRODUCED BETA MAPS! Thank you for (finally) getting this! Yup, got a point there judge!